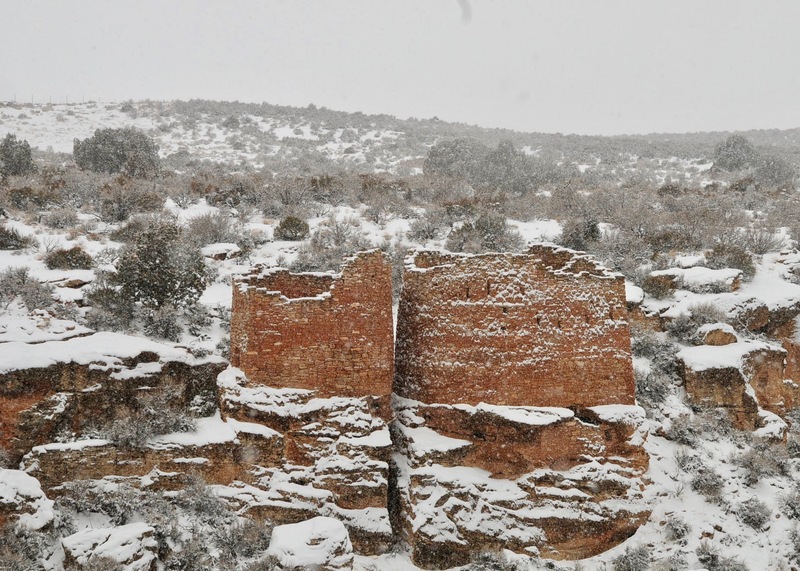 I wake up in Hovenweep in that silence that can only mean snow. 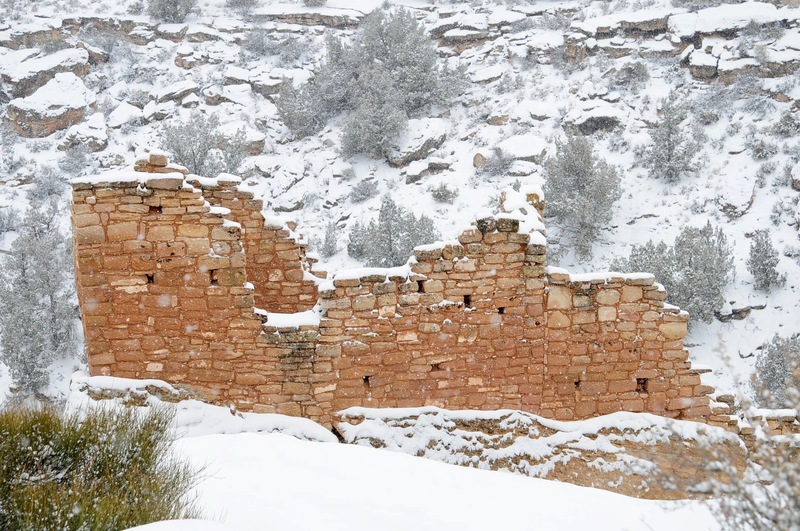 I start on my walk around the ruins but it is hopeless as the path is hidden by snow and I worry about falling. I do find some ruins, very impressive, built in the 12th century, but the hike round all the sites is definitely off. Another one. 1200 is long time ago. 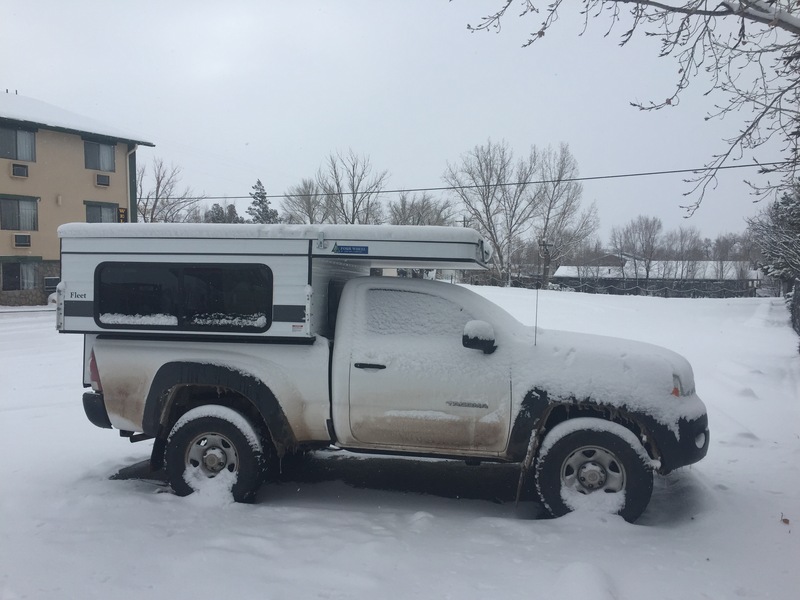 The snow is getting worse and I head out for the nearest town, Cortez Colorado. The drive is very scary as Google maps takes me down farm roads that are covered in snow, such that you don’t really know if you are on the road or have driven off; this in a whiteout. Delighted after 2 hours of 20 mph crawling to hit a highway and make it to Cortez. Click on the image. It says the bird watching course has been cancelled! What to do now? The course was the foundation of the whole trip. I booked it in October last year and then invented the camper trip out there and back. 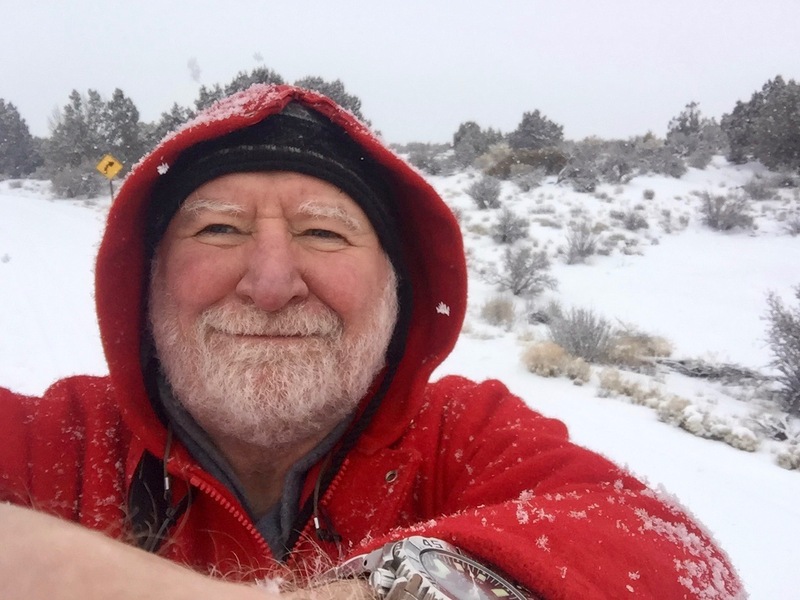 Now I am snowbound in Cortez, Colorado with no destination. At least the snowstorm stops me going anywhere, simplifying decision making for the moment. 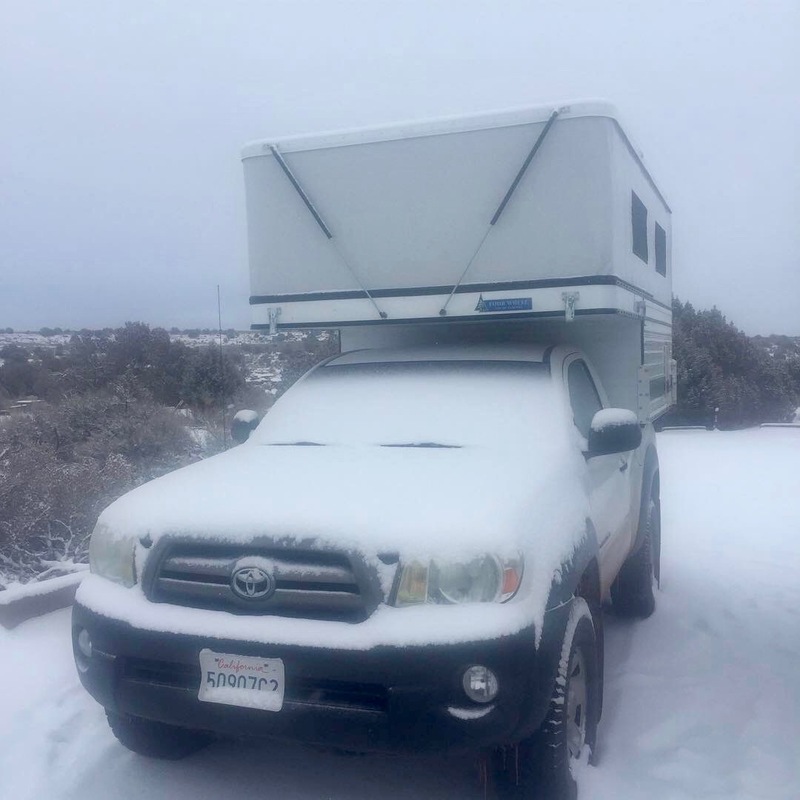 Truck in Cortez, wondering what to do next. This calls for strong drink. Heck of a way down to Socorro if that’s where Bosque Del Apache is – looks like at least seven hours of driving. Not something amusing in that weather. Wunderground says that the weather for early January since 2017 in Sorocco has varied daily between a few degrees below freezing to around 11C so low temperatures seem normal there. Like Scott of the Antarctic you seem to have been hit by a particularly severe year. Hopefully the local hostelry offers mulled wine and roaring fires (or the local equivalent). Ian’s suggestion seems a good starting place. Yes it has been a very bad year, what with terrible weather and the Government shutdown. They have run the course at Bosque del Apache at the same time for 6 years and never had weather issues. They are very apologetic but that changes nothing unfortunately. On the upside I drove from Cortez to Grants NM today. Amazing as the desert was covered in 2 foot of snow. Very beautiful. I hear that loos are overflowing in some places too. Of all the years…… Such a shame for you.